Friends. BFF’s. Call them what you will. Another of the important choices a bride makes when preparing for her wedding day is the choice of her bride’s maids. Careful consideration is given when choosing a maid of honor, a matron of honor, the bridesmaids, junior bridesmaids and flower girls. The groom must make similar decisions in choosing his best man, groomsmen, ushers and ring bearers. Often these folks are dear friends of the couple. Often they are family members: cousins, siblings and in-laws. Regardless you can rest assured that they are people who are very important in the lives of the wedding couple. I recall, vividly, the day I composed this portrait. 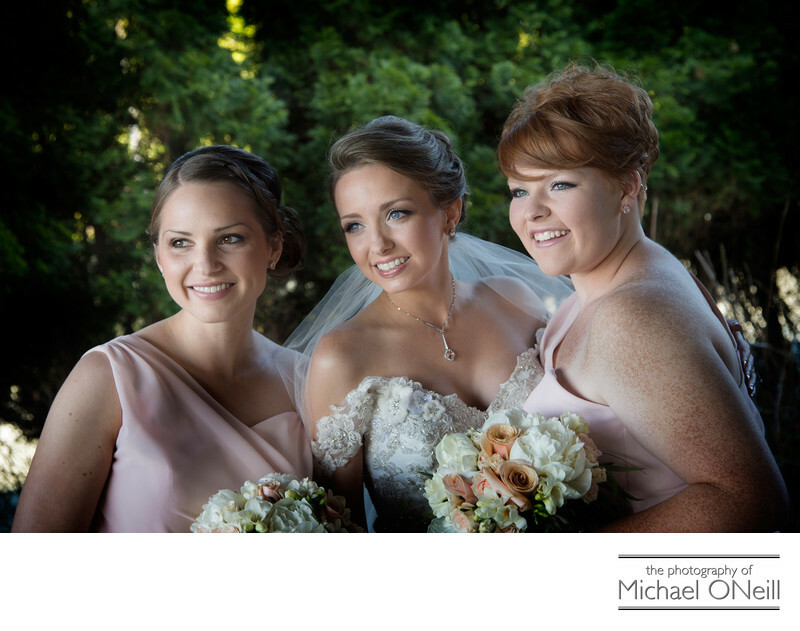 The bride was flanked by her maid of honor and matron of honor. The picture was taken just prior to the actual wedding ceremony. In just a few short moments the bride would take her father’s arm and walk down the aisle to exchange vows and rings with her man. Creating great portraits of dear friends is one of the most important tasks any great wedding photographer is charged with. I would love the opportunity to create these important keepsakes at your event.